It is with great sadness that we mourn the loss of Dr. Ron Faoro. He was an amazing veterinarian, clinic owner, mentor and friend. At this time the family and staff has requested privacy as they struggle to handle this sudden and unexpected loss. May the staff at St Francis and his family find comfort in the same way Dr Faoro has comforted us (and our companion pets) over the years. Sending healing thoughts to all the staff and Vets at St Francis who have been so kind and loving, along with Dr. Faoro, to my animals, and the rescue labradors they have treated for Fetching Companions and other rescues over the years. My heart aches, I send love and prayers to all. Fraro may you continue your loving work in heaven. May your family and friends find peace. Thank you for being a beautiful person both inside and out. Bless you,,! Thank you all for your kind words during this difficult time. We are neighbors and customers, Dr Faoro responded to my yelp post on 2/24, and I just read the article today about the accident. My heart goes out to the staff and Dr Faoro's family. My family and I feel sorrow and sadness for your loss and the loss of a good guy in the community. Thanks for reading. See you soon. Patrick, Heather, Chloe, Radar, Snowy, & Storm. I tried posting earlier and it did not go through. There are no words to convey my deepest sadness at the loss of Dr Faoro. My heart is breaking. Truly. He saved our kitties lives over and over again over the last 20 years. He spent hours of his own time researching my kitties's special needs, and was kind, loving, compassionate, a true healer and animal whisperer. The lives he saved and people and animals he helped is simply immeasurable. I cannot even imagine the loss his wife and daughter are experiencing and you all at Saint Francis who were closest to him. Santa Barbara will not be the same without him ever. My heart goes out to you all. I met Dr Faoro in the 80's when he showed me extraordinary kindness after a major pet tragedy. I never forgot what he did for me. I taught his beautiful daughter for several years - needless to say she is a chip off her dad's " block"! Elizabeth proved herself a tireless parent volunteer in the school community, and a kind, dear person. The thought of this beautiful family going through this is terrible. Knowing all the wonderful staff at St Francis' I am sure they are just as bereft. It is no small accident that ALL the vets at Dr Faoro's clinic are compassionate and clever, and they stay there a really long time. We love you, St Francis Pet Clinic! The entire pet-loving community has lost a wonderful friend! Elizabeth and Sierra please know we ache for you. You all are in our prayers during this sad time. All of us at Central Coast Pet Hospital & ER send our condolences for your loss. My deepest sympathy and compassion for the tragic loss of Ron. On behalf of the veterinary community, I wish to extend our condolences to Elizabeth and Sierra, and all of Ron's co-workers at St. Francis Pet Clinic in the passing of Ron. The veterinary community is stunned by the loss of Ron. He was great force in the Santa Barbara-Ventura Veterinary Medical Association and the California Veterinary Medical Association. His contributions were great, and he will be missed. Ron's compassion for his patients was reflected in the faith his clients had in him and in the staff and veterinarians working with him. Ron's passion and zeal for practicing veterinary medicine has always been contagious to those who were fortunate to work with him. He served as a source of inspiration to all his assistants, who have demonstrated a long-term loyalty to Ron and St. Francis Pet Clinic. He served as mentor, inspiring his assistants' loyalty, and supporting their continued development, some of whom have been inspired to become veterinarians. The loss of Ron Faoro, DVM, is a tragedy, and it is with great sadness that we have to say goodbye. We pray for strength for Elizabeth and Sierra during this time of deep loss. I remember listening to Ron argue pssionately to remove an injured dog's leg rather than putting the dog down. He said that dogs don't have a word for crippled and this dog would still enjoy the sun on her back and a good dinner and a loving hand and that was all that really mattered......indeed all there really was. He was always an advocate for animals and the friend of all who worked to make their lives better. All of us at DAWG are grateful for the years of help and support he gave us. What a gift he was to Santa Barbara and its pets. What a loss this is for the community and his family. He truly cared for animals, and the love he shared will go on. My thoughts go out to everyone at the clinic and his family. Dr. Faoro was a kind and generous man and a wonderful vet. BUNS was a client at St. Francis for many years and we will always appreciate the generous and open handed care that was given to our rabbits. Our sympathies to Elizabeth and their daughter as well as to the staff of the clinic. This is such a tragedy. As Dr. Faoro recommended, BUNS began a class for adopters, Basic Bunny, which continues to this day as More Basic Bunny and Guinea Pig. So in this sense, at least, he continues to improve the lives of both people and animals. @Barbara Yaffee: your words are painfully and exactly perfect. i am too numb and painful to begin to put words to this sad tragedy and to life without dr faoro's child-like enthusiasm for anything veterinary (or anything really). Santa Barbara will not be the same. Ever. Karen R.
Ron treated all of our dogs with laughter, depth of knowledge and compassion. My heart breaks at this unnecessary loss. His family and the St Francis staff are in my heart and prayers. My staff and I at Oak Park Veterinary Hospital wish to join in offering our deepest condolences to the family and co-workers of Dr. Ron Faoro. I had the pleasure of getting to know Ron through the Santa Barbara-Ventura Veterinary Medical Association during the years we both served on the board. He was a wonderful member of the veterinary community and a genuinely warm and friendly man. I am deeply saddened by his loss, and my heart goes out to his family and friends. I was shocked & saddened to hear about Dr. Faoro. I drove up from LA many years ago for a surgery for my cat that he did. My BFF worked there and totally trusted him and his care which I quickly came to as well. When we moved to SB, St Francis became our clinic with Dr. Faoro treating all our animals with such kindness and compassion. Years ago, we talked about his love of paragliding & shortly after I heard about an accident on the news. When I called the clinic for an appt they said he would be on leave for awhile & I said please don't tell me that was Dr. Faoro on the news. Yes it was, but he healed and returned thankfully. This time he wasn't as lucky and all that knew him, 2 & 4 legged alike will greatly miss a wonderful man and vet. May all the wonderful memories of him give his loved ones some comfort during this difficult time! I am in total disbelief that Ron is gone. He was a great mentor and friend to me. The world was a better place with Ron in it and we will all feel the loss of this great man. He will truly be missed. Elizabeth and Sierra, please know that your friends at Holy Cross School love you and have you and Ron in our prayers. We have all heard of the Rainbow Bridge. I envision all of the animals whose lives were saved or extended by Dr Faoro's skillful care eagerly waiting for him at the Bridge, with bright happy eyes and wagging tails. All of us will miss him greatly, but I have the feeling that he is in very good company. My warmest thoughts go out to his family and the entire St. Francis family as well. We have all been enriched by knowing him. Elizabeth and Sierra, our whole family mourns with you. We will miss Ron and his kindness and generosity.You both reflect the light he brought to your community. We are grateful for Sierra's safety. We will be praying as you embark on this journey of healing. My parents send their love. My sincere condolences to the family, friends, colleagues and clients of Dr. Faoro. Dr. Faoro's untimely passing was a big loss for all of us in the veterinary community as well as for me personally. Ron passionately defended pets as well as the veterinary profession in his many years serving his colleagues, clients and our pets. I met Ron as a veterinary student serving as a representative at the CVMA. He was one of few veterinarians that reached out to students, inviting (and even paying for)them to go to lunch. He sought out their voice and challenged those of us to think critically about our positions. As a veterinarian, Ron was a very practical and capable practitioner that instantly created trust, knowing you would get an honest opinion. He often created black and white out of complicated matters, distilling valuable information to those in time of need. His compassion for animals was equally as strong as his Sicilian passion and many pets and their people benefited over the years by knowing him. We have been with St Francis Pet Clinic since 1997. We adopted our dog Max from DAWG and loved St. Francis. Max was well taken care of and at 161 lbs. he lived to be 13 years old. We moved out of the Santa Barbara area but returned and went directly to St. Francis with our 9 lb dog, Bob. Bob had bladder stones just weeks ago. Dr. Faoro was absolutely wonderful. He called several times to discuss Bob situation. Needless to say, Dr. Faoro and staff operated on Bob and he has made a full recovery. My family is heart sick over the loss of Dr. Faoro. We will never forget how kind he was to our Bob and to our kids who were desperately concerned about Bob. Dr. Faoro and his wonderful staff took care of Bob and put us all at ease. He will truly be missed by our family. Our thoughts and prayers are with Dr. Faoro's family and St. Francis doctors and staff. Dan, Wendy, Sam, Maddie, Bob, Ella & Tilly. My heart breaks for Elizabeth, Sierra, Ron's Mom and sisters. Ron lived life to the fullest and will be deeply missed. Robin, Haley, Bella, Beau, Swanky, Herbie, Nala, Max, and Gypsy. My daughter worked in his clinic for a while and I had the privalege to meet ithis special man. I am so saddened by the news and the loss to the community, his friends, the staff at the hospital, and most of all to his family. He will be missed by everyone who was fortunate to know him. Our whole community holds the Faoro family in our hearts. Words cannot express the sadness we feel for such a tragic death. May we all pull together and bring his memory forward to live in good deeds. My kitty and I, and everyone in Parliamo, the Italian Group, will all miss Ron profoundly. Thinking of Elizabeth and Sierra. I did my first and only paragliding in 2010 with Ron during my time in Santa Barbara. He was a professional, enthusiasts and lovely man. Our flight together will be always in my most beautiful memories. We just today heard of this tragic accident. We are so deeply saddened by your loss. Please know that Orlando, Isabel, John and I are keeping you and your entire family at St. Francis in our thoughts. We are deeply saddened by the loss of this generous man, wonderful veterinarian, mentor and friend to people and animals. Our heartfelt condolences to Elizabeth, Sierra and the St. Francis family as well. We fondly remember his work and the unique and caring way he touched all of our lives. I am deeply saddened for his family and the St Francis Clinic and community. We have lost a great person. Keeping you in my thoughts and prayers. Thank you to all the friends and family that have written such wonderful things about Ron Faoro on our website and our facebook page. We are asking anyone who has a speical story/stories to tell about Dr. Faoro please write it here so that his family can continue to read the caring thoughts you have about him. Feel free to write as much as you want! My deepest sympathy and comfort to all of us, who will forever keep in our hearts, the love and caring, that Dr. Faoro shared with us and our pet families. When I brought Woody in he even showed me a picture and made a copy at my request that clearly demonstrated why a procedure I was requesting couldn't be done. And only last week, while we were traveling to Albuquerque, he called back to follow up on a visit our pet sitter had made. He kept the pet all day at the office for observation while we were out of town. He followed up with another phone call when we got back in to town. Dr. Faoro was working with more than pets, he realized that the connection, we have with our pets, heals more than pets - it heals our hearts, minds, and soul. Pets truly are a big part of our community family, and so Dr. Faoro will be also. "Jesus, Mary, Joseph," the kid kept saying, "Jesus, Mary, Joseph." I hadn't met him yet. We were both nine years old. I later learned he had a March birthday while mine was in February. Mr. Prasch, the fifth grade teacher had just come into our 4th grade classroom at Holy Cross School to tell us that President Kennedy had been assassinated. What did that mean? "It means he's dead," the kid sitting next to me said. "If you say Jesus, Mary, Joseph, it will help his soul move through Purgatory. But you have to say it 500 times." This was Ron Faoro, a boy with Italian parents. His father's name was Edo. Funny, what you remember now that Ron is also dead. I got a phone call on Dr. Keil's birthday, which would have been his 203rd, which also doesn't mean anything to anyone who doesn't know where I work. It was late in the evening and I was readying myself for bed. I had been expecting a return call from a friend in Joseph but she's busy these days and hadn't got back to it for two days, and so when the phone rang (or whatever the hell it does these days) I answered expecting to hear a voice from Joseph. But no. "This is a blast from your past," she said, and I had to keep her talking to help with my identification. "Been a long time," I ventured. "Yes, I have some sad news." It was Susie, my girlfriend from high school, a friend from those days before I had feelings, and so was set free, the two of us going off into our own histories. "Ron Faoro was killed in a hang gliding accident in California," she said. "He was with his 16 year old daughter who survived." At the end of our Junior year I had been hired at Farrell's Ice Cream Parlour. Susie had just asked me if I loved her. I didn't give the right answer. With my first job, I got a Rambler, and despite the fact that we were no longer dating, I was part of a foursome with her of friends who took turns driving to high school. We lived in North Portland, our North Catholic High School had burned down a year before that, and so a group of us decided to go to LaSalle High school which was located in Milwaukie, Oregon. As a kid growing up in Portland, it would never have occurred to me to go to Milwaukie for any other reason. Ron Faoro had broke up with his girlfriend also. Her name was Pam. We were the carpool foursome. Fifteen years ago, through some happenstance I can't recall, Ron and I briefly connected again. We wrote a series of letters to each other. "On loose leaf," he said when receiving my first, "my favorite." I caught him up with my life and he caught me up with his. "I never imagined that you would become a curator and a writer," he said. "Rather, I see you ripping line drives down the third base line instead of composing epic poems. He had become a veterinarian, a quite successful one in Santa Barbara. He had just married and they had a little girl named Elizabeth. Our letters went over the old times. Our sixth grade teacher Mr. Hannon, just 24 years old then, used to come into the classroom and say "Any questions, comments or reservations?" I remember that to this day and so did Ron. "I say that when I go into my staff meetings," Ron wrote. "He was a real touchstone in our lives." Ten years before that I saw Mr. Hannon at our 25th school reunion. I introduced myself and he said: "I would recognize you anywhere. Have you become a writer?" All these things we know about each other but never say. "We were cerebral blood brothers of sorts," Ron concluded. With extreme sadness at Ron's passing I offer my condolences to his family and all who knew him. Ron had been my vet since he came to Santa Barbara. He took great care of my pets (Clancy, Trilby, Peanut, Henry, and Shadow). His compassion (and humor) will be greatly missed. Today i woke up with a distinct feeling that something was missing. As I became more conscious, I remembered that today is a day without Dr Faoro on the planet. Few souls walk this earth that truly make an impact in a palpable way. Life in Santa Barbara after Rons disappearance is akin to life without trees. Or life without wires. It's as if something we don't often see is gone. Few souls walk the earth and truly make a big impact. It takes a big spirit or as we say "an old soul" to fill a space where those who came on contact with them feel changed for having them in their life. Rob was one of those souls. When you talked to Ron, or shared a case with him, or addresses an issue - large or small... You walked away with a changed vision. Dr Dawson was accurate when he wrote that Rob had a way of distilling things down into their essence and presenting them in black and white. Sometimes the issues were a bit altered by his viewpoint, but always ... They were altered so that the good prevealed or the underdog came out on top. He was a champion for then pets that could not speak for themselves. He had strong opinions and would voice them but you could count on the fact that his opinion was skewed toward the weak or less fortunate coming out as the victor. He was a strong believer in getting involved and "doing" instead of just waiting for changes to happen. He encouraged us to get involved. He dragged me to my first Ca Veterinary Association a Meeting (about which he was passionate). I had never been to one and as we rode in the car with him to Ventura, he talked about the issues of the day and questioned until we were all eager to get there and hear how it would turn out... He was like that. I was proud to be part of his hospital team that day. He encouraged those who worked for him to know the facts and not just stand by and let decisions be made for you but take an active part in being a representative by knowing the issues and taking a stance on the side that would create the most change for the better. Oh, and on the way to that meeting, he insisted on driving... my car -- because I had my husbands BMW 740i and he had never driven one... He had to know what all the fuss was about and he concluded that it really wasn't such a big deal after all. He drove very fast just to be sure! He appreciated our differences and would always quiz us about why we thought a certain way or why we did some thing differently. I remember his dog (but not her name) who was a little ornery. She would sleep Under the desks and would sometime snap at someone who tried to move her or pet her. R. Would gaze at her kindly and say something protective like "yeah, she sometimes has a bad day" .... But he loved her for who she was and respected her despite her flaws. Knowing him or spending any time in his presence meant being dragged along on a journey with whatever he was working on because you couldn't not be affected by his enthusiasm. He made those who worked with him better at what they did. You knew that he would expect a lot from you and even if you shook your head because you had to do it a certain way, we didn't mind because we knew Ron had a vision of how it should be and we were willing to help form that vision. His smile was earned and infectious. That he loved his family fiercely could not go unnoticed. He would melt when he spoke about Seirra and would leave the listener also cheering for her as his love and belief was palpable. Ron and Elizabeth were one of those too rare these days couples who were truly stronger together than apart. They were the perfect compliment to each other and it was easy to want to be around them. I can't imagine the pain of loss these two must be feeling. The relief that Seirra somehow survived and is ok matches the sadness of the loss we have all suffered. We are fortunate to have Rons family with us still and I am sure we will all be quick to stand with them as they travel this surreal and painful path through the days ahead without Ron. Seirra is so much like her dad. Elizabeth was so much like one with him. We will forever have Ron with us through his spirit that is part of his family. As impossible as it is for us to understand why things happen and how will we go on without someone we have known and loved amongst us... History and life shows us that we can. And we will. But we will also be changed forever for having known and lost the special friend that Ron was to all of us. Dr. Faoro left an indelible mark in our community and in all the lives, two and four legged, he helped and changed. I wish his family the strength and support needed to go on in a very different world than they have known. I cannot help but feel Ron is still watching over them. When the eyewitness to the tragedy saw Sierra's flight path heading toward double tragedy, he then saw a gust of wind lift the glider and carry it into the trees, allowing her a kinder landing. I think Ron was still watching over his daughter. I was a client at St Francis Pet Clinic when Ron joined Karsten's staff. That was many years ago. I liked him immediately and I was as comfortable with him caring for my dogs as I was with Karsten. Over the years, I have been privileged to share my life with many rescues...Jamie, Alfie, Button, Willie, Katie, Duncan, Misty, Speedy, Fancy, Spunky, Daisy, Sunny, Lola, and Crosby. Dr. Faoro provided excellent and compassionate medical care to all of them. After so many years, he was more than my dog's vet but a personal friend as well. It is unreal that he is no longer here. My heart goes out to his family and the staff at St. Francis Pet Clinic. His passing is a significant loss to us all. God speed dear Ron! We say goodbye to a caring and compassionate man who worked hard in many aspects of life to help others, support others and improve the lives of others. Human and other. Dr Ron Faoro was an extraordinary and amazing man whose compassion and caring was boundless. He always made us feel like our kitties were the MOST special, and I know that he did that for every animal he cared for. When our kitty Xena was a kitten, we were told by another vet that she would like contract the same disease her brother had died from and that she wouldn't make it. But Dr Faoro grabbed her by the cheeks, rubbed noses with her, and looked her in the eyes and said, in that no nonsense, tough love manner he had, 'We are not going to let you die'. He changed her universe, and ours, and here she is 12 years later in great health. When our kitty Harley was just a few months old, we were told by other vets that he wouldn't live to be even a year old. Dr Ron took him under his wing with an unwavering commitment. He spent hours of his own time exploring Harley's case, providing treatment, and giving us all the tools we needed to keep Harley healthy and happy. When Harley was 3 years old, the experts thought he might not make it 7 years old. But again, Dr Ron kept at it. When Harley reached 7 years old, Doc Faoro still had confidence he would live a long and healthy life, in spite of what we were told by others. When Harley was 10, again, the experts said he barely had a 50/50 chance of being alive in 2 years. Thanks to Dr Ron, here we are 3 years later, and Harley is going strong. Dr F spent hours and hours of his own time, talking to experts, considering Harley's condition, trying anything and everything, and most importantly, he never gave up hope or possibility. With love, experience, wisdom, time, energy and caring, he gave us all the tools we need and he has kept Harley alive and happy all of these years. Dr. Ron called me regularly to check in on Harley. He always wanted to be sure that he was doing well, he kept us up to date with new information, and he was always checking in to be sure that we were on the right track. He trusted us and believed us and was willing to learn along with us regarding what was the best treatment and direction to go. It is so hard to believe that I am never again going to get that 7am phone call from him saying 'and How's Harley doing today?'. In all of this, I would never have believed that Harley would outlive Dr Ron; and if it wasn't for him, Harley wouldn't be with us today. I feel truly blessed and thankful to have known him, and we miss him. Every time I pet Harley, and our other kitties, I am truly grateful for the difference he made in our lives and the lives of so many. There are no words to describe the loss of this great man to his family, his community, and to each of us as well as the animals who he cared for, treated, saved, and loved unconditionally. I can truly say that he was our friend, a true healer, a great man, and yes, a Santa Barbara Hero. Much love and gratitude to you Dr Ron. You will be sorely missed. It is only now that I can write to express my deepest sadness and sympathies to Dr. Faoro's family. We are complelety heart broken . 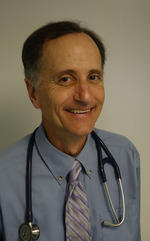 Dr. Faoro was our veterinarian since the 80s a beuatiful man and wonderful doctor. We miss him so. We send our love to all the staff and other verterenarian's there at the clinic. Sadly I brought our cat Lucy for her check-up only a month ago. During that visit Ron so happily talked with me about turning 60 and his plans for going though his bucket list......I said slow down you have plenty of time for all those things. I wonder now about his sense of urgency. Thanks Ron for all you brought to your work. Great Vets touch so many lives at the most poignant times of those lives, whether two legged or four. Dr. Faoro was one such. Those who knew him are blessed.